You don’t have to pay premium prices to get an incredible HTC smartphone. 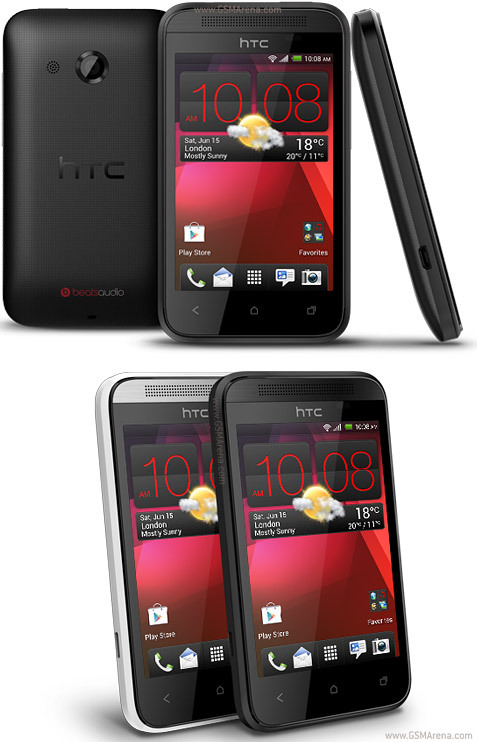 The HTC Desire 200 comes with our highest quality in-ear headset and Beats Audio™ for immersive music. An intuitive camera makes it easy to take and share photos, and the HTC Data Manager lets you keep up with your data usage so you stay within your budget. Tailored specifically for HTC, Beats Audio™ engineers music output to sound exactly as the artist intended. The HTC Desire 200 also features our highest-quality in-ear headphones to bring your music to life. Intuitive camera technology recognizes when someone’s smiling and automatically takes the picture, even before you press the button. Digital filters add exciting effects to your pics, and one-push sharing allows you to post directly to your social network. Automatically monitor your data usage in real-time to stay on top of your data plan. Adjust when and how you use your phone and pick the best data plan for you. HTC Data Manager keeps you in control. The HTC Desire 200 makes reading websites easier by automatically adjusting text to fit your screen. Zoom in and dial a phone number with one easy step and even store copies of online articles that you want to read offline later. On-the-go web browsing has never been easier.